In late February, multinational gold miner Barrick Gold (ABX) revealed it was making an all-stock offer to acquire its largest rival, Newmont Mining (NEM). The takeover bid was nearly $18 billion. The potential merger was characterized by the press as "hostile," considering the offer from Barrick was totally unsolicited. After Newmont executives (and even some shareholders) criticized the rationale and efficacy of the proposal, the two mining giants eventually agreed to a different way to work together. Over the past several months, the gold mining sector has seen a growing trend of consolidation. This means that merger and acquisition (M&A) activity is picking up considerably. As is typically the case, this development started at the top of the food chain. Just recently, Barrick—the world's top-producing gold company—merged with Randgold Resources (GOLD), one of Africa's biggest mining firms. The U.S.-based Newmont, which currently ranks second to Barrick in annual gold production but is #1 in the industry in market capitalization, appears poised to follow suit with its own move. Newmont is trying to acquire another major firm, the Canadian miner Goldcorp (GG). If a deal goes through, the combined company would be the world's largest gold miner in terms of market cap and output, putting some distance between itself and Barrick. Goldcorp once boasted the largest market cap in the sector all on its own, but subsequently saw its stock price plummet 75% since peaking in 2011. While this discounted valuation presumably makes the firm an attractive acquisition target, there has been some outcry over the proposed compensation being arranged for the outgoing Goldcorp chairman. The issue threatens to sour some shareholders on the deal. In the wake of Barrick withdrawing its hostile buyout offer for Newmont, the two miners seemingly found an alternative avenue for cooperation. According to Reuters, the two rivals are resurrecting plans for a joint venture in Nevada. The state ranks among the most gold-rich areas anywhere in the Americas. The joint venture is expected to create synergies that will save both companies billions of dollars in costs over the course of the next two decades. This idea to work together in Nevada was revived after a volley of arrow-slinging between the companies' respective chief executives during the brief mega-merger saga. 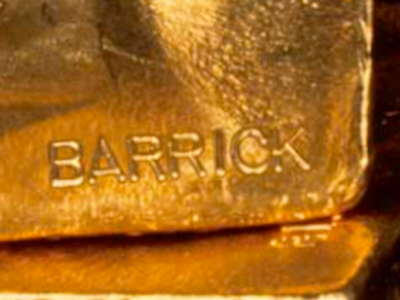 Talks regarding the possible JV actually began months before Barrick's surprise acquisition bid, but they fell apart over how the ownership stakes would be divided. 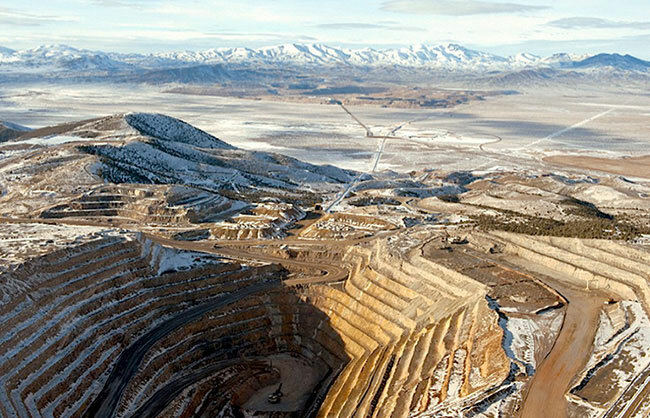 Newmont initially proposed a 45%–55% split of control of the project, but Barrick countered by asking for a 66% stake. When negotiations resumed, the two sides ultimately compromised on 61.5% ownership for Barrick, leaving Newmont with a 38.5% stake. Both miners saw their stock prices move fairly sharply immediately following the announcement of the Nevada JV: up 1% for ABX, but down over 2% for NEM.